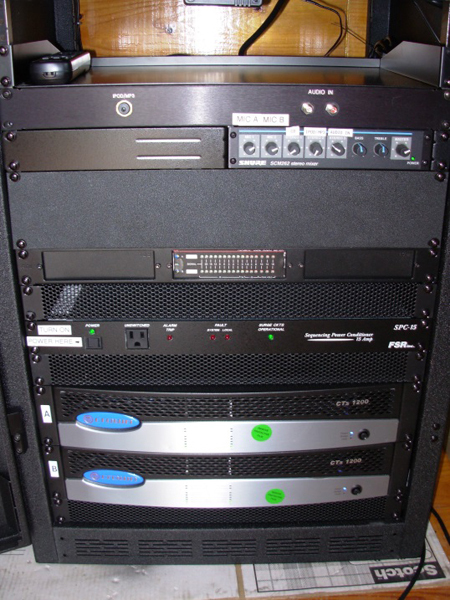 – Basic Projection and Display systems for conference and meeting rooms. 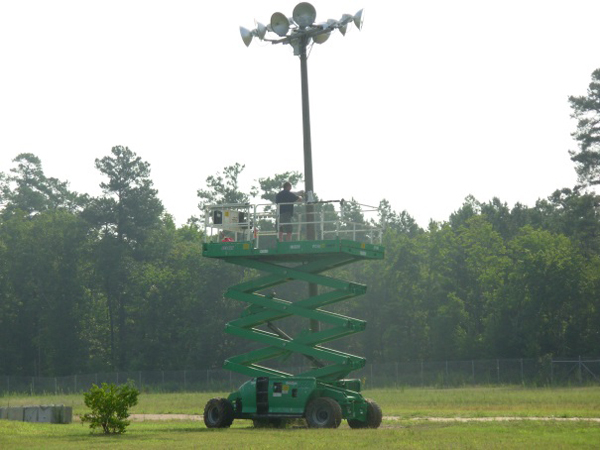 This project consisted of installing a paging system for the Joel C Bradshaw Fairgrounds in Isle of Wight County in Southeastern Virginia. 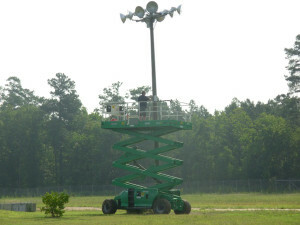 The system contained a total of 36 Atlas Sound thirty watt paging horns that were strategically placed on light poles throughout the fairgrounds. 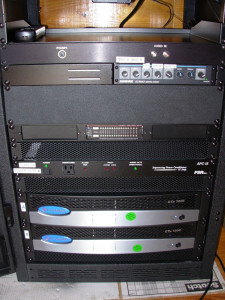 The equipment rack containing the mixer and amplifiers was located in a small cabin in a remote area. All wiring was installed in PVC conduit that was placed in trenches dug to each light pole. Over 4000ft of AWG 10 gauge wire was used. 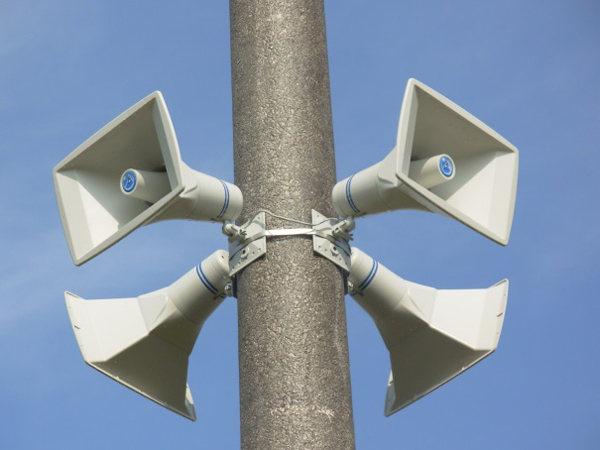 A speaker disconnect was installed at the base of each light pole for servicing and four speakers were arrayed around each pole for a full 360 degree sound dispersion.